World : Everything Island by Ruth Kay. Quietly, I opened the door to my mother’s bedroom. Once I stepped inside I paused to listen to make sure I was alone. I heard nothing but the distant ticking of the clock in the hall way, and the neighbors dog barking in the yard. She wouldn’t be happy for what I was about to do, but I was almost 20 and starting college soon, and I wanted to be like any other 20-year-old girl and have my driver’s license. I felt a momentary stab of guilt, that I quickly swallowed. I wasn’t doing anything wrong. I was simply looking for my birth certificate so I could apply for a social security card, in the hopes that I would be able to get my driver’s license. I looked around my mothers flawlessly tidy room and absently scratched my head. You should just ask her yourself instead of snooping through your mothers personal things, I thought. I frowned as I made my way over to the dresser. I had asked, many times, and the answer was always the same. “You know how I feel about you driving.” My mother would say giving me the pained look that only a mother could perfect. And like every time, I would drop it, and let it go, I hated to see her sad, to drudge up memories that were just to painful. Before I was born, my father died in a car accident, and when my mom was a young girl, she had lost her older brother the same way. It made sense that she worried about her only daughter getting behind the wheel, and until now, I had respected her feelings on the subject. 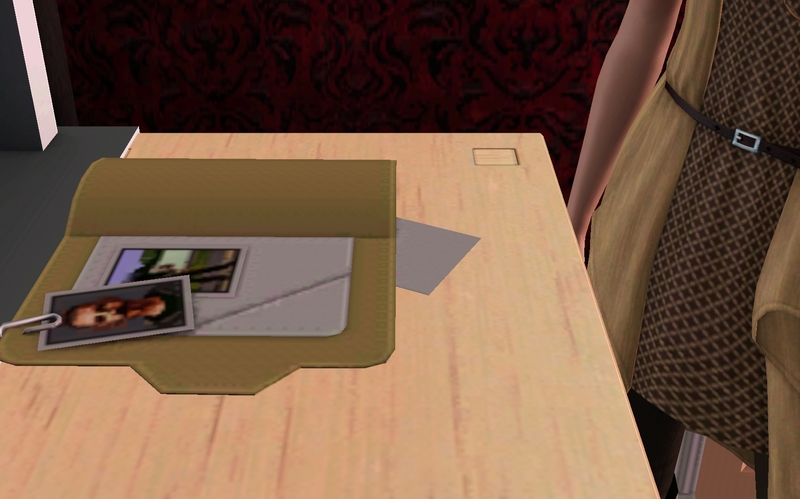 I pulled open the top drawer and pulled out a manila folder and a wicker box filled with documents and magazines. I dumped it all on top of the dresser and rifled through it, smiling as I looked at what I assumed where my baby pictures. Why wouldn’t these be in the album, I thought a frown creasing my face. I didn’t have many photo’s from my early childhood, and until this point had never seen a baby picture of myself. Why would she lie? I picked up one of the pictures, smiling at the chubby faced infant in the photo. She looks so young, I thought stroking my mom’s face on the photo gently. I turned the picture around and saw my mothers handwriting. Melissa? I thought puzzled. Who the hell is Melissa? I set down the photo and grabbed the next off the stack. A chubby armed toddler me was being held by my mother while my father looked at us proudly. My father? My eyes widened in shock. He died before I was born, or so I had been told. Why would she lie to me, and why did they call me Melissa instead of Madeline? I rifled through the pile until I found a birth certificate, and held it in trembling hands. Melissa Ann Drake, born December 13th 1972. 1972? I wanted to scream and cry at the same time. I felt my face grow warm, and then cold, like all the blood had drained from my face, leaving me feeling sick and weak. 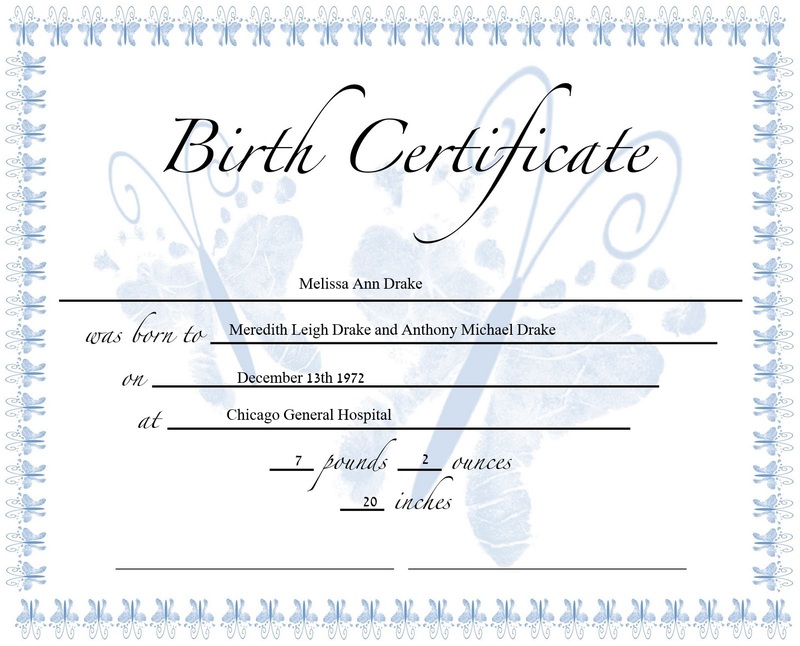 I dropped the birth certificate back down into the pile and shoved the box and envelope back into the drawer when I heard the front door open announcing my mother’s arrival. I closed the bedroom door quietly my heart thumping quickly in my chest, not because I worried about being busted snooping, but because I had so many questions swirling in my head like debris from a tornado. Why had my mother lied to me, and who was Melissa? Because I clearly wasn’t born in 1972. I descended the stairs weak kneed, and slightly light-headed. There is a rational explanation for all of this, I told myself. There has to be. “You’re home early.” I said from the door way, keeping my face neutral despite my tumult thoughts. My mom bended to take her heals off and rubbed her sore feet through her stockings and smiled at me. “You scared me Madeline.” She smiled at me. “It was slow at the office, so I decided to head home early. What sounds good for dinner? We haven’t gone out in a while. Feel like accompanying your old mom out to dinner?” She smiled at me, her green eyes lighting up. “I want to get my license mom.” I blurted. “I know it scares you since you lost dad and your brother in-car accidents, but I’m 19 almost 20, and I’m going away to college soon…” My voice trailed off. “Oh Madeline.” My mom sighed looking frazzled. “You know how I feel about you driving, but I always knew this moment would come.” She sighed and looked down into her lap. “Mom?” I asked worriedly when she was quiet as if lost in thought. She looked a million years away. “Who is Melissa?” I asked. I couldn’t take it anymore. I had to know. My mother spun her head around to look at me, her face was pale, like she had aged 20 years in an instant. “Where did you hear that name?” She whispered, her voice was rough and thick sounding like she was very near to tears. “I went in your room to look for my birth certificate so I could apply for a social security card. You were always putting it off and changing the subject, so I figured I would take matters into my own hands. I saw the baby pictures. At first I thought it was me, until I saw the name Melissa on the back of them. Who is Melissa mom?” I asked. My mom stood up suddenly, her back was rigid and stiff. She turned to face me, her face was pale, and her eyes glossy with unshed tears that tugged at my heartstrings. “What the hell is going on?” I asked again, I was very worried now. I hadn’t ever seen my mom like this before, and it scared the hell out of me. “I’ll make us some tea.” My mom straightened her back and smiled at me, even though the smile didn’t quite reach her eyes. That was my mother. When it came down to un-pleasantries she always brought out the food and drinks, I thought. Very proper indeed my mother was. My mother set down a mug of tea in front of me, and sat down in the chair next to me. She wrapped her hands around the steaming mug and looked down into the dark liquid as if it revealed untold secrets. She was quite for a long time, and I could only make up theories in my head. Theory one. My mom and dad had another daughter before I was born. Melissa, but for some unknown reason, she passed away leaving my parents grief-stricken. Theory two. I was adopted or kidnapped. I chose not to entertain that theory. My mother and I looked too much alike, we clearly were related. “Melissa is your mother, she was-is, my daughter.” Her eyes closed and her shoulders slumped in defeat. I watched a tear work its way down her cheek. I pushed the mug away roughly the contents splashing out over the sides. I felt a small measure of guilt as I watched my mother-grandmother flinch at my harsh tone. “Please let me explain.” She begged, reaching out to grasp my hands. I pulled my hands away quickly and stood up almost knocking over the chair in my haste to get away from her. “Madeline…please.” Her tearful voice pleaded with me. I had to get out of there. If I stayed in that house one more second I was going to fall apart. I slammed the front door and took off in a brisk run. The early spring air was chilly, but I could hardly feel the chill on my arms as I ran down the street towards one of my favorite spots. The lake. 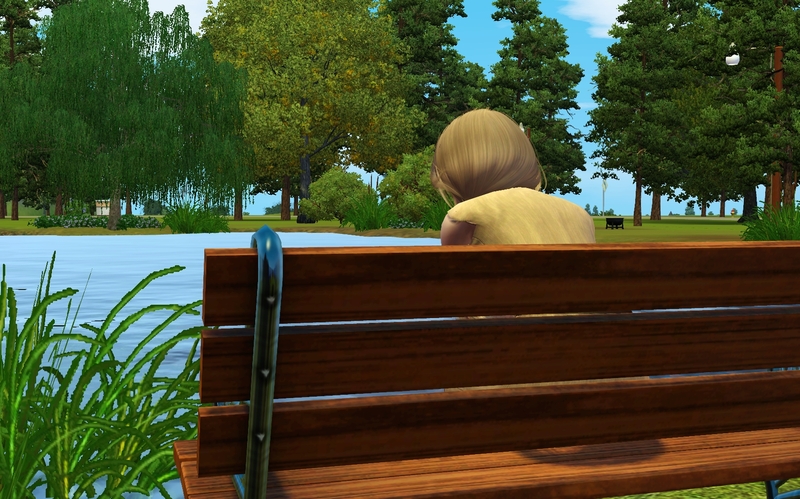 I sat down on the hard wooden bench and stared out over the water. I felt something wet on my cheek. I reached a hand up to my face and wiped away a tear. One tear, is if I cried out all the others and had none left to give. I closed my eyes, and let the emotions slam against me like a ship in a hurricane. My whole entire life was a lie. My mother wasn’t really my mother at all, but my maternal grandmother. Why keep that such a secret? Children were raised by grandparents all the time for a variety of reasons, and yet they chose not to lie about it. Surely there was more to the story, but I wasn’t sure I was ready to hear any of it. She had always told me she had me late in life, that she and my father had a rough time getting pregnant with me, and they finally got lucky in there late 30’s. Lies, all lies, I thought leaning forward to stare into the lake. No wonder she didn’t want me ever seeing my birth certificate and social security card, she didn’t want to reveal her secret, I thought bitterly. I should have questioned this a long time ago. I stood up on stiff legs and looked up at the pink and orange sky. The sun was setting. I rubbed my arms briskly, I had sat on that bench lost in thought for hours. I had no choice but to head home and face her whether I was ready too or not. The lights were on when stopped in the driveway looking up at the house I had been raised in my entire life. She had always joked that she went to bed early like the old woman she was, but despite the late hour, she was waiting for me. “I’m home.” I whispered from the doorway, looking in and seeing her head in her hands crying softly. The crushing weight of guilt settled on my shoulders and I felt myself soften somewhat towards her. She had only done what she thought was best, I thought sadly. I pulled out the chair beside her and sat, not knowing what to say. My tongue felt thick and glued to the roof of my mouth. She looked up her eyes streaked with tears that felt like an arrow aimed right at my heart. I hated to see her cry. “I’m so glad your back–I was so worried.” She whispered. “You know, I never ment for you to find out like this…” Her voice trailed off. “I’m sorry for lying to you all these years, but I did it to protect you, please understand that.” She said firmly reaching out for my hand, and wincing slightly when I pulled my hand away. “Protect me from what? My real mother?” I felt my temper flare up, and I wondered why my real mother had given me up. “Melissa was a spirited girl.” My mother began her eyes focused on the wall, as if she was instead seeing distant memories instead of the ugly wallpaper. “Your Grandfather and I were very busy with our careers back when Melissa was young.” She paused a look of pain crossing her features. “She was always getting into trouble one way or another. Your grandfather, especially laid into her, and that pushed her away. She ran away, and we were frantic.” She closed her eyes. “There is no worse feeling in the world then a mother who has no idea where her child is, at this point she was heavily into drugs and drinking. We feared the worst, and with every phone call or knock at our door we feared it was the police to tell us that Melissa was found dead. You can’t imagine the thoughts that would cross my mind.” She opened her eyes and looked at me. “We had filed a police report on her, of course, but as the leads dried up, so did our hopes. Your grandfather, god rest his soul took to drinking his pain away, the loss of Melissa was so hard on him. He got behind the wheel and crashed into a tree and died.” She paused grief marring her features, for several minutes she was unable to speak. Her eyes darkened. “Melissa told me little about the past two years of her life. She had lived on the streets, and had earned an income by prostitution.” She grimaced, a look of pure pain crossing her face. “My mother was a prostitute?” I blurted feeling the blood drain from my face. “Does she even know who my dad is?” I couldn’t help it, I began to laugh. I laughed until tears started streaming down my face. “I’m the daughter of a whore, and god knows who my father is!” I laughed again, wiping away tears of laughter from my hazel eyes. “You never thought to look for her?” I asked feeling the tears stream down my face. “So this is why you really didn’t want me to drive. You had no birth certificate, since I wasn’t your real daughter.” I said softly. “This is true.” She whispered, looking much older, like the story had aged her 40 years. “Your birthday December 29th, is the day I saw you for the first time. I didn’t know anything else about you, except for your name Madeline. I’m so sorry Maddy. I should have told you the truth right from the beginning.” Her green eyes pleaded with me for forgiveness that I wasn’t yet ready to give. I stood up and pushed in the chair. “I want to be alone.” I said firmly feeling the tears spring up behind my eyelids. I threw myself down on my peach lacy bedspread and let the tears fall. I am the daughter of a whore, how is that for the truth, I berated myself. See what happens when you want the truth? I cried into my pillow, the pillow muffling the sounds of my screams. i feel bad for both of them but she shouldn’t be mad at her grandmother. she was only trying to protect her. I’m sorry to hear your game died on you. Hope this one gets through okay. 🙂 But yeah, this was such a good start, I can’t wait to see what happens now she’s found out the truth. I feel so bad for the two of them, it must have been so horrible for her grandma. Thank you so much! I’m glad you like it so far. 🙂 I feel bad for them as well, i can’t imagine what it would be like to one day wake up and find your whole life has changed and the person you thought was your mother wasn’t. Thanks so much for reading! Wow, such a sad but interesting start. I do hope Maddy has it in her to forgive her mother/grandmother. Althought it’s somehow questionable that she would have lied to her, she clearly meant well and wanted the best for her. Besides, it must have been very hard for her to learn of her drug-addict, prostitute daughter… not a casual topic of conversation by any means! For sure! I think i would be more upset about the drug/prostitute mom then anything else, but thats just me. LOL. And you are right. Her grandmother wanted to shield her from the truth knowing that wouldn’t be an easy thing to find out about. Thanks so much for reading! Thanks so much! I’m sad about them too. I hate the fact that they are unfinished. That just bothers me more then anything because I did have so many ideas, and I did get attached to them. It does feel good though to start something new. This darn game with all the bugs drives me crazy sometimes. I have never played a game in my life that has as many issues as this one does. 😦 Thanks for reading dear! I understand she’s mad at her grandma but I would’ve done the same thing if I was in her position. The baby was her primary concern, at least Melissa knew she couldn’t take care of her and gave her to the only person she trusted. Exactly. I think she did the right thing, for sure. 🙂 Thanks so much for reading! Poor Madelyn I can imagine how hard it is to know you have been lied too, but she should never have been snooping. This is her consequence for being deceitful, although I do understand her reasoning, she still was wrong. I expect Maddy to be upset, but hope she can come to realize her grandmother was doing what was best. Maddy should give her grandmother some slack. I am not excusing her grandmother for not being honest, but how do you tell a young child she was abandoned by her mother? Not easy that is for sure. I agree, when you snoop your bound to find things you wish you didn’t. Madeline has a lot of growing up to do, that’s for sure. Thanks for reading! Same here. One never knows how they would react to something like that until they are faced with it. 😦 Thanks so much for reading! Dude. What an awesome start! Also, I adore Madeline’s outfit, I wish I owned it IRL! Do you know what is weird? When my grandmother was a young girl, she found out that her mother was actually her grandmother. Such a weird coincidence with your story! Luckily, it didn’t change anything. Her real mother had her out of wedlock (which was a big deal at the time) and abandoned her. Gran-mum ended up living to be 100 and her and my grandmother continued to have a loving relationship. Thank you so much! I love your story too! ❤ And yes, I know what you mean about the outfit. I wish I had it in RL too. Haha. Wow that's crazy about your grandmother, but I know what you mean about back then having a baby out of wedlock was a huge scandal. Thanks so much for reading! I’m literally sitting here with my jaw on the ground. You have started another amazing legacy! So happy you share your talent with us! That world is gorgeous! Can’t wait to see more of it. I can’t even begin to imagine how it must feel to all of a sudden find out that you have been raised by your grandmother and not your mother. In any case, it sounds like it was the best thing for Madeline considering that her mom was on the streets. It definitely is a lot of info all at once. That, in part, is why Madeline reacted the way she did. Madeline will eventually get over her grudge, but right now she’s very stubborn, and wont listen to reason. I’m glad you like the pictures 🙂 Thanks for the comment! Interesting start. 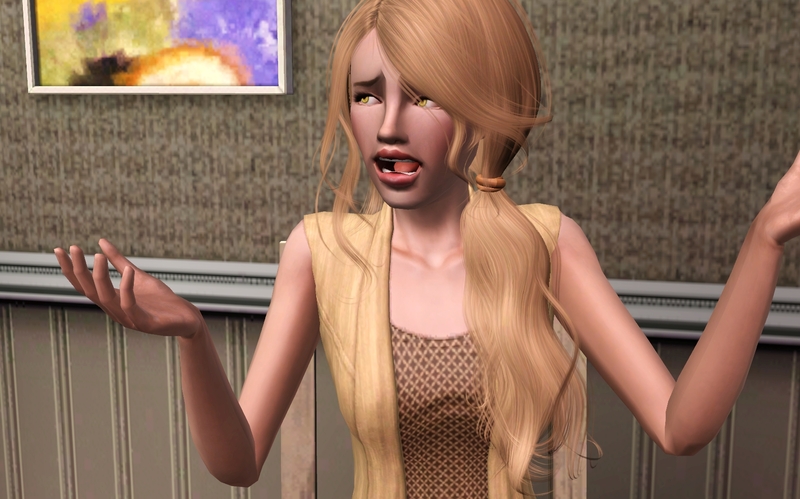 Lots of drama already O_O What a shocker for Maddy to come across all of that information in her Grandmother’s room, then later finding out the whole truth.. That’s a lot to take in! Oh yes, lots of drama. Gotta have the drama. LOL. This is so sad. I feel bad for her grandma/mom. I would hate for the child that I raised to turn on me and then decide to just leave. Jeez! I keep finding your stories! Haha Which I’m glad I do! You have a beautiful writing style and you really make your stories come alive. Thank you for sharing and writing 🙂 So far I like what I’ve read! Aww I’m glad you could find the story. 🙂 Thanks so much for reading and commenting!!! Glad you like it so far! Ahh loved this start! Very interesting, and a very fascinating start for a legacy! (it reminds me a bit of Caroline B. Cooney’s Jane series). I’m really looking forward to reading more! Also, I adore Maddy’s outfit! That outfit looks extra cute with those boots! Really interesting start! I can understand both points of view. Madeline has a right to be upset that the truth was withheld from her for so long (not to mention how awful the truth is). I can also understand Meredith had to know how hurt Madeline would be once she learned the truth about her mother. She was trying to delay the inevitable. Thank you so much!!! Yes, there are definitely two sides to this story, and its not easy on either character. Thanks for reading! Such a very interesting beginning! Wow! She’s got her work cut out for her. She seems strong, so I know she’ll handle it well, even if it will be tough. 🙂 By the way, I’ve revised ALL of my story. I did not like how it was, so I used a different point of view and re-wrote it. If you get time between RL, game play & writing, feel free to head over and read it (sorry to say….again). 🙂 Thanks! Wow, I feel so bad for Madeline. To think is just a matter of minutes her world turned upside down. Unfortunately, this is common. Her mother/grandmother thought she was doing the right thing. Maybe she should have told her about this years earlier, not when she was too young, but old enough to understand. She shouldn’t have let her find out by accident. You did a great job conveying both Madeline’s and her mother’s emotions. I wonder what happened to Melissa. Great read. You are exactly right. Given the opportunity, Madeline’s grandmother would have told her when she was old enough to understand. She was afraid for Madeline, and thought she was doing what was right at the time. Thank you. 🙂 I’m very glad you liked the prologue. Thanks so much for reading and commenting! I feel bad for Madeline and her grandmother. Her grandmother thought she was protecting the one trace of her daughter she had left, even if Madeline didn’t understand that (though she did deserve to know before she turned 20). I’ve very intrigued about what happened to Melissa. 🙂 Amazing start! Wow I know that is so much for Madeline to take in. I feel so bad for her especially with how she found out. I’m glad her grandmother finally told her the truth and stopped living the lie. I know that had to be a burden lifted off her chest even if it was hard to tell her though. I really hope Madeline can forgive her grandmother and that their relationship will be okay again. I will read more when it’s not 2 in the morning lol. Amandra: Nice to meet you again. 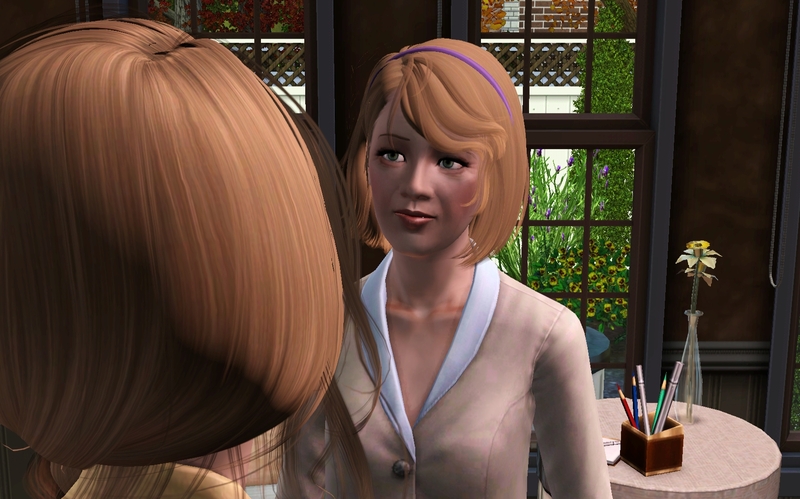 I like the beginning to your legacy and it’s sad to see Madeline find out about being raised by her grandmother. Having been adopted myself I hope that she comes to forgive her grandmother and learns that being raised with love is the most important thing. Had I not been adopted into a loving home when I was at age 5, I could very well be living off the streets like her mother was. Will try to read more when I get a chance. Just started reading this – secrets and lies! So many questions I’m sure will be answered in your coming chapters. I’m really looking forward to catching up on this one! When I get home from work, I’m going straight to this page *favourited* and continuing the story. Love it. Wow. What beautiful graphics. I hope, once I’ve done this a while, I can post screenshots that are almost as beautiful. I especially love the attention you pay to your characters faces. It makes them come alive. Thank you. My computer is alright. It runs the game pretty good, despite the fact I have a crazy amount of CC. Taking pictures isn’t that easy as I thought it would be. Sometimes it takes me ages to get things to look like the way I want it too. I’m still learning little tips. Thanks so much! Ahhh 😥 this just tore at my heart. It’s an amazing beginning and I have tears in my eyes. Can’t wait to keep reading! I’m also Wickedjr89 from TS3.com :). Okay, so (confession time!) I actually read this for the first time several months ago but didn’t leave any comments. Bad lurking habit of mine. But I am trying to correct my lurker-tendencies, and I really do enjoy your story so I thought I would come back and leave you some comments! Anywayz! Stellar beginning! And I must say, I LOVE Madeline’s outfit. I know that might be kind of a weird compliment… but one of the things I love about Sims Legacies is that you get to make all the elements work together and be creative in the fields of fashion, interior decorating, AND writing. So cheers on all accounts! lol And I really feel for Madeline. I didn’t get my driver’s license until I was twenty. But of course, my problem was that I failed the test twice. Heh. This was a kickass start to the story!! How awful to find out that your mother is really your grandmother! I can understand why Madeline is upset, her whole world has been turned upside down. I hope she will be able to get past this and forgive her Mother/Grandmother. I feel bad for the grandmother as well. I think as time went by it became harder for her to tell her the truth. By the way I’m Dandylion from the Sims Forum.